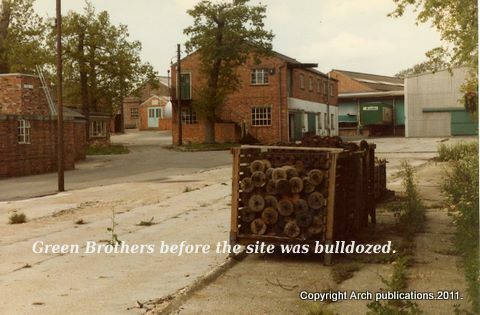 Green Brothers/ Shepperton Film Studios/Decoy Builders. | The Military history of Slindon. Most films at this time were made under cover, but so good were the film crews that they could make sets look very realistic. With lighting and paint and mock ups of buildings and streets many an audience watching a film would have never guessed it had been made entirely under cover, the main reason of making films this way was the weather was not reliable enough to make then outside on location, film equipment at that time was not so robust as now. 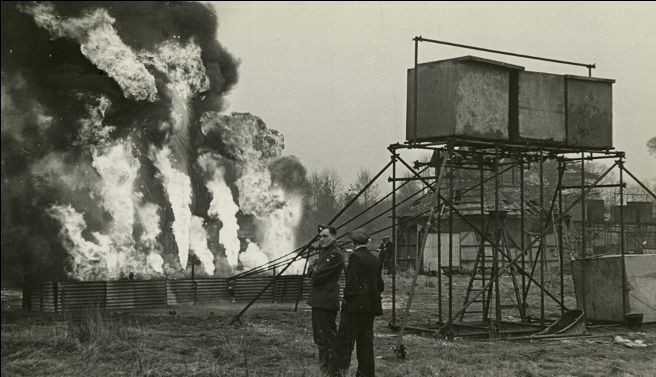 The film men became the backbone of Col.Turners Dept, where they mass produced dummy aircraft and equipment to be used on decoy airfield sites. Apart from the Film Studios, other companies that were used to supply the film industry with various forms of film props, that could be used for deception. The company were commissioned by Colonel Turners department in late 1939 to build dummy Hurricanes, there first efforts were sound in design, but poor in covering, but were made at a reasonable price. 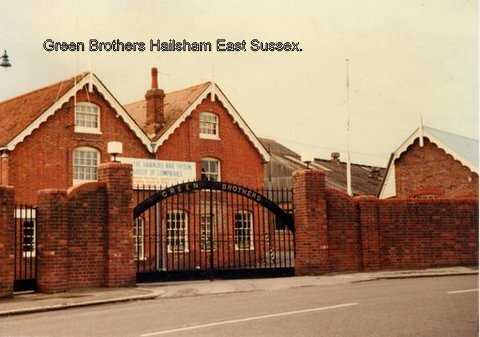 Green Brothers were an old established company in Hailsham nr Eastbourne, they had for some time been building garden furniture, they later went on to make high quality ropes. November 1939 Green Brothers were given an order to build over 100 dummy hurricanes, they were built in kit form, and transported from the factory to various locations under the command of stations in 11 group, Fighter Commands forward battalion, covering Portsmouth to South Norfolk, they would bear the brunt of the fighting on the forthcoming battle of Britain, the dummy planes were deployed at the Gumber site in March 1940.